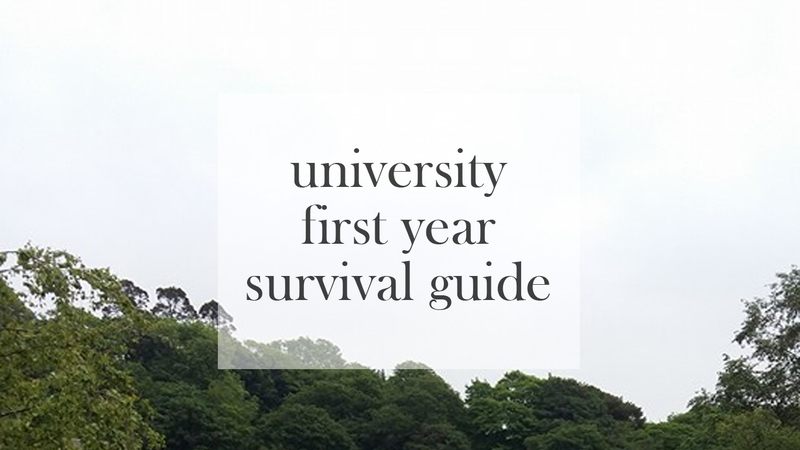 Since it's been a few weeks since I finished my first year of university (and I also have a day off from work) I decided that writing a little 'survival guide' so to speak would be a good idea - especially for people who have no idea what to expect when going to university for the first time. c) never learn to do other things. I know a lot of people in uni (myself included) decided on eating a lot of pasta. I think I used to eat it maybe twice a week, either for a late lunch or my dinner meal, but I don't mind since I love pasta a lot and I do a lot of different combinations to keep the 'food boredom' away (e.g. making pasta bakes, varying my choice in sauces). However, looking at my boyfriend (not saying he eats the same stuff all the time) but he did tell me that he ate so much pesto pasta that he can't even eat the stuff anymore (which makes me very sad since pesto pasta is my favourite and has been since my old flatmates make it beforehand and it smelt BEA-U-TIFUL, so I gave it a try. Thanks ladies!!). One thing which helped spruce up my eating habits was reading into simple and easy things to make which was tasty to eat. However, I didn't have an issue with food boredom since I did food technology as a GCSE and growing up with two parents who liked to cook a lot helped a lot. Also, don't be afraid to go to different food purchasing places for your food (My boyfriend and I ended up going to Aldi and Iceland every Wednesday for food and if we were needy for anything else, we had a Spar on site and a Tesco nearby). Lazy Garlic - (had this in my sauce and spices cupboard at home when my mum had it and I remembered to purchase it in university). This is basically a small glass jar filled with tiny bits of chopped garlic in white wine vinegar and we put this on pasta bakes, our own homemade garlic bread, homemade pizzas... It's very good but the price varies but we found it for £2.99 - a little goes a long way with this but I'd recommend to use the white wine vinegar from the jar if making your own garlic bread, but don't use loads since it will overpower. Seasonings and spices - Literally, all you need is a few of these to make food a lot better and to jazz up your basic meats or veggies, like: salt, pepper, paprika (gorgeous on chicken as proven by my boyfriend), garlic salt (good on pasta dishes, pizzas, chips/fries, as proven by me), cumin (so good in curry), Italian seasoning (basically a mix of four different herbs in one jar, but I love putting it on pasta and pizza). All of these can be found in pretty much any supermarket and can vary (Recommended by my boyfriend to go to Aldi for spices/seasonings, and I'm pretty sure a dupe of Lazy Garlic is there too). 1) Apps on your iPhone/Smartphone/Tablet app store - you'll find so many different recipe apps, and I use Pinterest and Instagram to find good meals or inspiration for meals there. As well as this, I know there are student meal apps available so go check them out. 2) BBC Food (x) - there's so many recipes on there from basic things to make to more difficult dishes. It's nice as well because with the recipes you can easily swap stuff and change it to suit your tastes. 3) 'Lean in 15' by Joe Wicks (x) - My boyfriend and I used to go to the gym quite a lot and we were being careful for what meals to eat before and after going there, and this book helped us a lot. (also on a side note: basically, Joe has his own personal 'shape plan' which you can also do alongside eating the meals he has put in his book and the plan works for 90 days and can help you become more lean. Personally, I haven't done the plan (I'd like to but since I've been working I may do it because it costs), but I've seen others do it and the results are AMAZING. Just think, do you really need that 8th hoodie, or 27th pair of high heels? I'm guilty for this one because when I moved up to university last September, I took way too much up with me... As in I filled a 5 door Ford Fiesta and a little bit of my gramp's car too (Oops!). I wasn't sure what necessities I needed, so I thought taking more than I needed would've been a good idea. However, taking a TV, Xbox and a giant headed fan wasn't necessary (Someone in the flat next door to me got more use of my Xbox than I did, and my fan was broke before I even got to university and we didn't realise. Thank god for only living just shy of an hour away). Clothing wise, don't take everything (unless you're like my boyfriend, and don't have a million wardrobes, drawers and closets full of clothes, shoes and whatever). In my old uni room, I had a single wardrobe, 3 drawers in a chest of drawers and what acted as a 'bedside table' (it became my tv stand for half a year then became a stand for my printer for the other half, and drawers filled with undies and pyjamas for a year). I did take a lot of clothes but my university was opposite the sea, so I wasn't sure if it was going to be warm, throw down with rain, be windy/humid - we never had a clue. However, I did live in leggings and jumpers, t-shirts, sweatshirts and hoodies for about 6/7 months of the 9 I was there (and also had an electric blanket the whole time) because the temperature was temperamental. Just really think when you're packing your bags/boxes with clothes, because you can always go shopping if you're travelling far for university and don't have the time/money to just 'nip home for things' like I did. I'm also bad for this because I didn't go to any of these besides the Freshers Fair (this is a time where all sport groups, societies and other things come together for a few days to allow you to get to know about what is available for you and to have a chance to speak to people who either run them, or are members. As well as this, for me, Dominoes and other things were there giving out freebies!). However, I suffered from anxiety very badly in my first few months of university (probably from just before I went until after Christmas, so the end of August until the beginning of January), so going to events was not for me, same with joining societies or sporting groups which was a shame because I wanted to try all sorts of new things, like show choir, lacrosse, cheerleading and more but I didn't in the end. I know a lot of people really enjoyed freshers, but some people thought it was a bit 'eh'. For the socialising and meeting people aspect, I kind of wished I had gone, but because I'm not a big drinker - it wasn't for me. It's nice to join in on events like these as it allows you to get to know your new location and to meet some people beforehand, so if socialising is your forte, then go for it. I know that now I'm going into my second year of university, myself, my boyfriend, our housemates and old flatmates will be doing our own version of Freshers this year, based on things we want to do (aka different party ideas) and it'll be a lot nicer and relaxed for me since I know who will be there and my anxiety will be non-existent since I've known these people for nearly a year now (oh my lord it's been a while!!). There's no reason to not get involved with social media things for your university and to get to know people who are going to be freshers in your university or others. There are Facebook groups set up per university, as well as one large group for every fresher for this coming academic year and they are always active. Also, there's no reason to not ask questions. Think your lectures have a specific attire? Not sure how much to spend on items to take to universities? Unsure of how to condense things down like clothing amount, little knick-knacks or photographs of your best friends and family back home? Don't be afraid to ask people who are going to be freshers the same year as you, or as older students or graduates!! You won't be judged, you're just looking for insight as to what is the best thing to do for you, which is great. After you've received your unconditional offer, your university should have accommodation groups set up for you to meet your new flatmates/building mates, and you have the chance to get to know them for a while before meeting them in person. Personally, I liked that a lot because I managed to speak to a few of the people in my building and one person in particular helped me get over my anxiety and it helped me so much and now that person is my boyfriend. This may seem a bit weird as a tip, but research different type of student bank account deals is very beneficial. I've been with Santander since I was little (had an account the day I was born with money in it), and their student account benefitted me a lot since I needed a rail card for making my journeys home just that bit much cheaper. However, since I got in a relationship I haven't used it since my boyfriend drives, but it's always nice to keep in case I do need it. Different student accounts have different offers, like kinds of overdraft, coach/rail card and so much more. I found this (x) a good place to look as a lot of accounts are compared here and can help you decide on the right one for you. If you're going to be using the train to travel home or whatever, then I recommend a Santander student account. This is a very important thing to take into account whether you get the minimum or maximum amount of student loan. 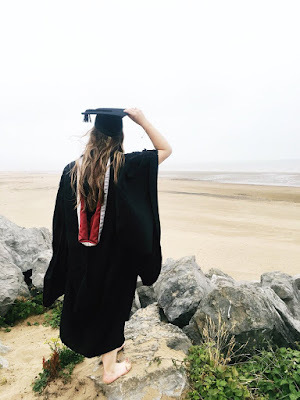 When I first had my student loan, I was pretty reckless with spending and I actually struggled a little bit towards the end of my first semester, and it taught me to really keep track of my spending - an easy way of doing this is keeping receipts. I pinned mine to the pinboard in my university room to remind me of what I've spent where and when, so I didn't freak out when I saw my bank account and wondered where £25 went last Tuesday and whatnot. Another way of managing money is when you go for a night out, withdraw money before hand and only take that with you - instead of taking your bank card out with you and giving yourself a shock the morning after. Savings accounts are also a good idea because if you're like me and work out how much money you should allow yourself a week, you can put some money away into a savings account and keep it for future semesters/times where you want to go shopping or get a take out. This is pretty much all I can think of but I will definitely update this with more as time goes on, so check back. Hopefully this helps you new students out and that you really enjoy your first year. this was actually really helpful, thank you!